If you’re the type of person who has an ear for the finer things in life, look no further- the majestic Birmingham Symphony Hall makes all your dreams come true. Opened in 1991, the Symphony Hall hosts wonderful performances every week from artists around the world, and its world class acoustics and spectacular auditorium make it one of the finest concert halls not just in the United Kingdom, but in the entire world. 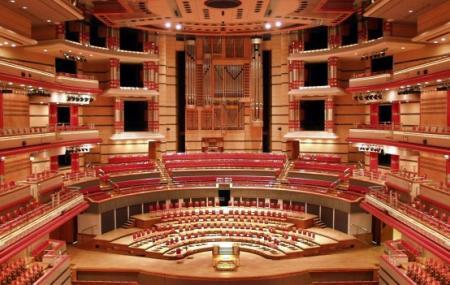 With a seating capacity of over 2,500 people, the Birmingham Symphony Hall sets the benchmark by which concert halls are measured today. Although it is designed for classical music performances, the hall has been host to some memorable performances from the world of jazz, world music, folk, rock, pop and stand-up comedy as well. It also houses numerous conferences, graduation ceremonies and community events, making it one of the most important places for the people of Birmingham. The Symphony Hall is also home to the City of Birmingham Symphony Orchestra, who perform at the venue regularly. The cutting edge acoustics have been designed by some of the world’s top sound engineers, and has been planned in such a way that the best sound reaches every corner of the hall. In 2001, a massive 6,000 pipe Symphony organ was installed in the hall. To see the Symphony Hall and be part of a truly world class concert experience, check out the upcoming shows online and book your tickets. Odds are, you’ll end up watching one of the finest shows of your lifetime. Also, visit the popular attractions in the city by following Birmingham itinerary 1 day. You can book a table in the Symphony Hall restaurant to enjoy dinner before or after you have enjoyed a performance. The staff are very friendly and are always willing to assist you with whatever you may require. If you’re going for a musical performance, try getting seats in the middle of the auditorium, where the sound is at its very best. Avoid booking tickets for seats that are right at the back, as you can find them to be a bit cramped. There is ample parking space outside the venue, but arrive before time in order to avoid any last minute hassles that may make you miss the performance. Keep checking the website to stay updated on the latest performances at Symphony Hall. Symphony Hall Ticket prices vary according to each performance. Symphony Hall is a functioning performance venue, with different artists performing every week. Refer to the website for the exact times of all upcoming performances. Birmingham New Street and Snow Hill stations are within easy walking distance of Town Hall and Symphony Hall. Moor Street and Five Ways are slightly further away but still within walking distance. There are fast and frequent rail services to the centre of Birmingham with free parking at many Centro stations. The Centro Hotline on 0121 200 2700 (open 7.30am – 10.30pm every day except Christmas Day) can help you plan your journey. How popular is Symphony Hall? People normally club together Birmingham Back To Backs and Library Of Birmingham while planning their visit to Symphony Hall. One of the highlights of my life. Super-friendly and helpful staff made it a night to treasure. We saw Stewart Copeland, and he signed my drumsticks. The entire performance was amazing. The whole orchestra was incredible. My 11 year old autistic son watched in wonder. This place is amazing, it's decor is fantastic. If you don't like very loud music take ear plugs as the sound system is very efficient! The staff there cannot do enough for you. Only negative is, as usual with places where there are a lot of people, the queue for the ladies toilet is huge! An absolutely stunning venue. It's really handy to have a cloakroom. Nice clean toilets, and several bars so lots of refreshments available. Plenty of seating when you are waiting. Lovely helpful staff. And the actual hall is stunning, lovely comfortable seating with plenty of leg room. Disabled access, and easily manoeuvrable. I can't wait to return. Symphony hall is fantastic, and the performers they have are usually stunning. The production quality is usually top notch too so you can't really go wrong here. I've seen a selection of performers here, from big band to classical and I've been happy with the sound quality and production for all. Definitely worth going to. Great venue, with plenty of parking nearby. Went here to see Jordan Peterson and even though we were literally on the back row the view was great and we heard everything, so the acoustics are top notch for a speaking event (not a surprise for a symphony hall). You have to go via Navigation Street to reach the Symphony Hall from the New Street metro station. 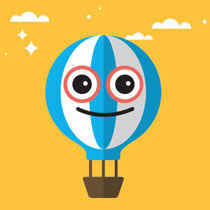 But, even if the distance is only around half a mile, I would suggest using online maps or asking locals for directions. Are there seats available for Thomas Trotter on Monday 26th November 2018 @ 1.00.p.m. Tickets for LUNCHTIME ORGAN CONCERT - THOMAS TROTTER are currently available (as of 5 Nov). Price start at £6. For an updated information, you can call the box office on 44 (0)121 780 3333. Hi, I'm attending graduation for the CIPP tomorrow. I am contacting you to ask whether there is parking on site?